The intense and prolonged economic recession in Italy has led to a substantial decline in employment and an increase in youth unemployment. What is the impact of the crisis on the population dynamics in Italy? Marriages occur later and rarer; births are decreasing, also in the foreign population; the flow of new immigrants for work are reducing and the number of Italians who emigrate abroad is increasing. Life expectancy and health do not show signs of deterioration up to now, although the number of suicides is increasing and the recourse to healthcare and medical treatment tend to reduce, especially among disadvantaged social groups and in the South. Strong social and generational imbalances are expected and only an effective welfare can counteract these negative trends. 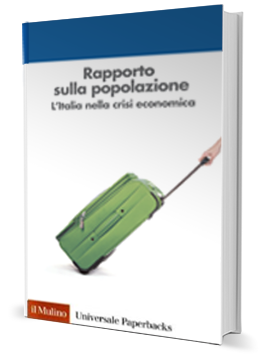 The fifth Report on the Italian Population (Rapporto sulla popolazione 2015. L’Italia nella crisi economica), sponsored by the Scientific Board of AISP, has been edited by Alessandra De Rose and Salvatore Strozza. Click HERE to download the english version of the first chapter. [In Italian language only] Storytelling “Looking for Italo” presented during the 2nd edition of the Festival della Statistica e della Demografia (Treviso, 7-9 October 2016).